Utilize all available tax credits and deductions. If you’ve put off tax planning for the majority of the calendar year, you still have time to research your options and make changes that will lead to the best-case tax scenario for your business. You can also resolve to start the new year with a tax-planning strategy that kicks in on day one. We get it—you wear a lot of hats while operating your business, and you didn’t plan on “tax planner” being one of them. You have marketing, staff management, product development, customer service, and accounting to worry about. Isn’t that enough? Not if working in your business takes away from working on your business! Spending money at the end of the year to reduce tax bills. Remember, spending a buck doesn’t mean a dollar saved come tax time. While many tax deductions are great to take advantage of, wastefully spending money to get or increase them is never a good idea. An exception: when you know you have large purchases coming up at the beginning of the new year and it would benefit you tax-wise by buying them now to take the deduction in your current tax year. Accelerating expenses into the current year. If the numbers show next year may be a better one for profits, you’ll want to offset the greater amount of income. Just like in the example above, it literally pays to thoughtfully plan big expenses. Choosing the accrual basis when the cash basis makes more sense (or vice versa). Most end-of-year aggressive tax strategies benefit cash-basis taxpayers. 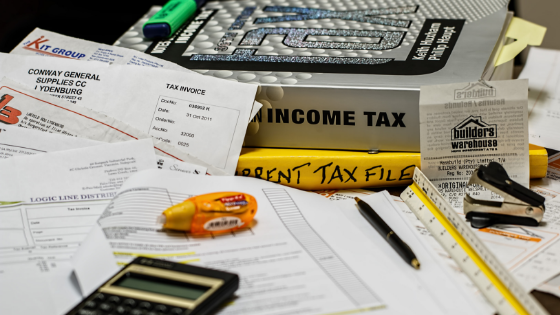 Not understanding what your tax reporting designation is can have a huge impact on whether or not you’ll save on taxes by making large purchases now. 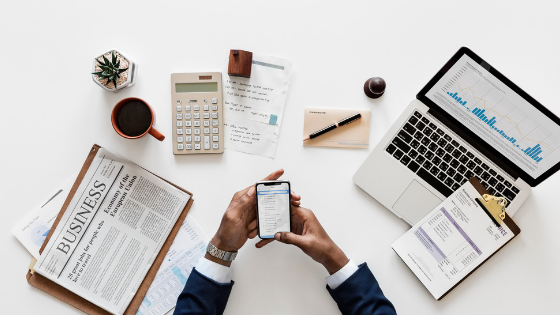 There’s a good reason financial experts say small business owners need to make tax planning a year-round effort: you’ll be better equipped to make smart decisions that help you minimize tax liabilities and you’ll make wiser business choices. That’s why as one year ends it’s so critical to immediately start the new one by getting your financial records up-to-date, analyzing your profits and losses, and determining ways to put more money in your bank account. Along the way you’ll find that the stress of small business taxes is lessened, which, in turn, helps you make better business judgments. BONUS TIP: do a strategic tax planning session during your 4th quarter since you’ll have a good idea of where the year is going to end up and then implement a strong plan to roll over to the new year. Reviewing and analyzing the books. Contributing the maximum allowable amount to retirement accounts. Designating deductions as they occur, not right before tax time. Tracking carryover tax deductions such as capital and net operating losses. Fortunately, there’s plenty of new technology available to make this a far easier task than it used to be. So, do yourself a favor and let software that’s tailored to your company’s specific needs do most of your tax planning heavy lifting for you. Whether it’s surviving an audit or finding tax-friendly ways to run your business, tax planning is a year-round event that helps you reduce tax obligations and make paying taxes less, well, taxing! Smart tax planning throughout the year can lower the amount of taxes you owe, but you must do it on a consistent basis. To get the most out of it, it pays to work with a tax pro who can help you strategize for both short and long-term financial goals. It’ll make the filing process easier to handle come tax preparation time and be a boon to your business’ bottom line.